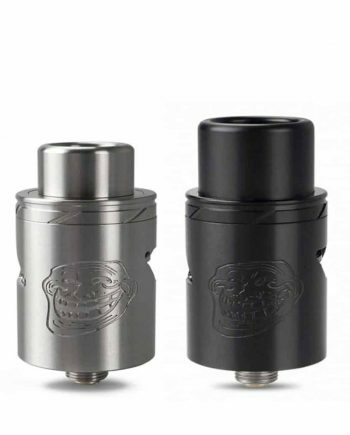 What do you get when the Goon RDA and the Twisted Messes² RDA have a baby? You get the Royal Hunter X! The successor of the Mega Hit from Council of Vapor; the Royal Hunter, brings you the Royal Hunter X! 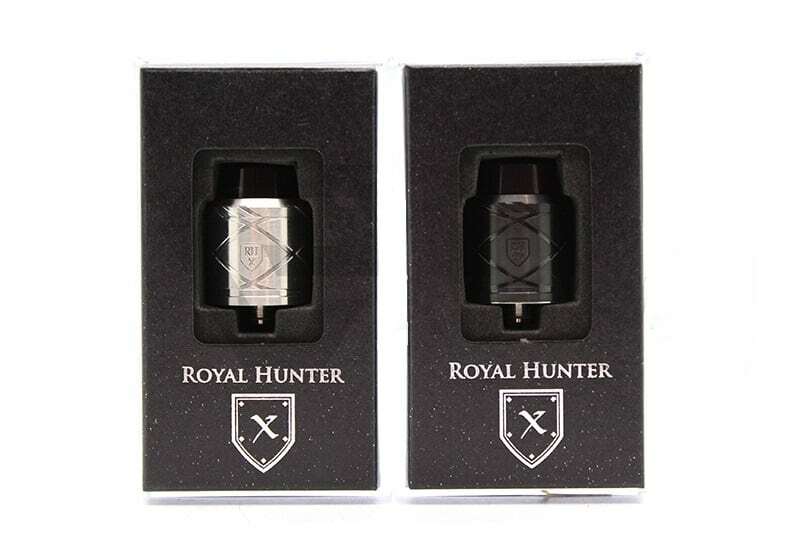 Building off of the Beautiful styling of the Royal Hunter, the Royal Hunter X follows suit! This Sleek yet Classy looking Atomizer will look stunning on top of any Set-up. Featuring many unique features that effectively perfect its functionality and durability alike, the Royal Hunter X RDA is the birth child of a Clamp Style RDA and a 2 Post, 4 Horizontal Post Hole Style RDA! This style setup gives you Literally Unlimited Possibilities as far as build options go. 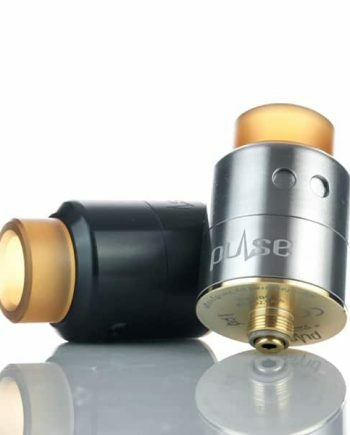 Fat or Thinner Builds? 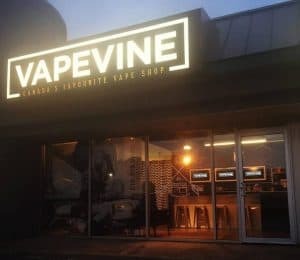 Use the Inside, Outside or Staggerred Terminals! 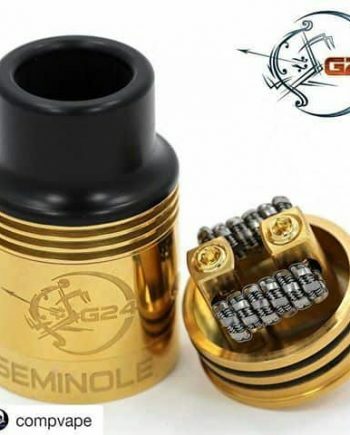 Complex, Intricate or Thick builds? Use the Clamp Posts! 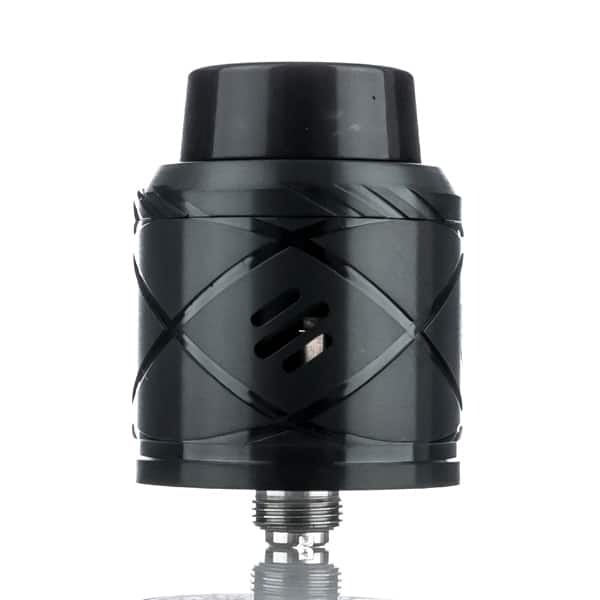 Rarely does the Vape Market see such a Revolutionary RDA that is as Easy to build on, and Versatile enough to fit any type of build you can throw at it! 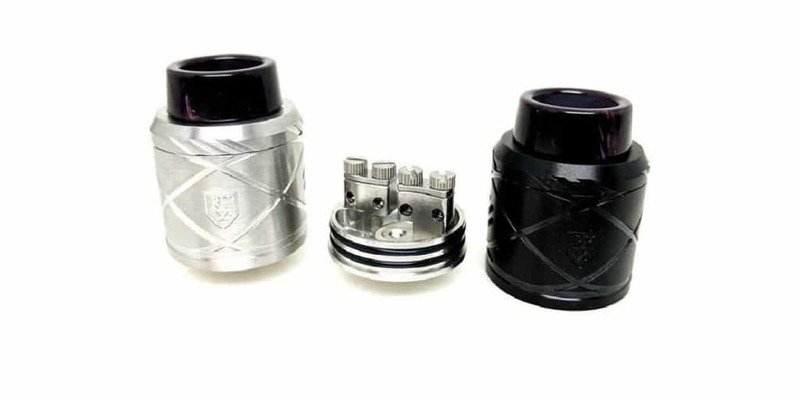 The Sleek look of the Royal Hunter X is complimented by a Slanted style Airflow and the Deep and Clean Engraving on the Barrel of the 24mm RDA. This extra size is just enough to allow for you to make the most of the Versatile Deck System, furthering your Build Possibilities. 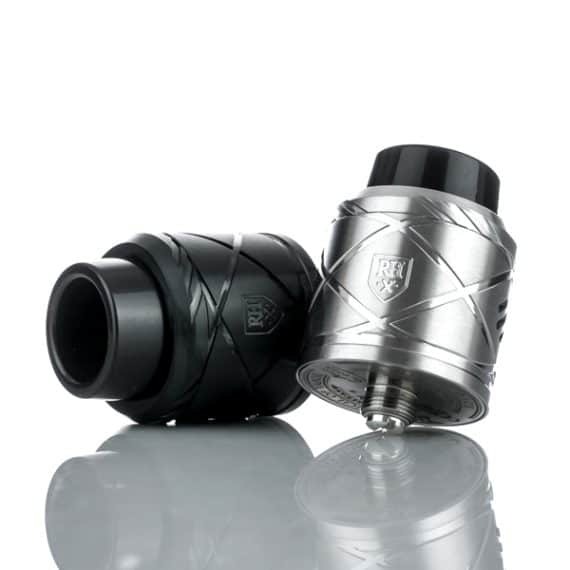 Following suit with the Original Royal Hunter, the Airflow is kept Neat and Clean, and Fully Adjustable, always providing you with the Perfect amount of Airflow. 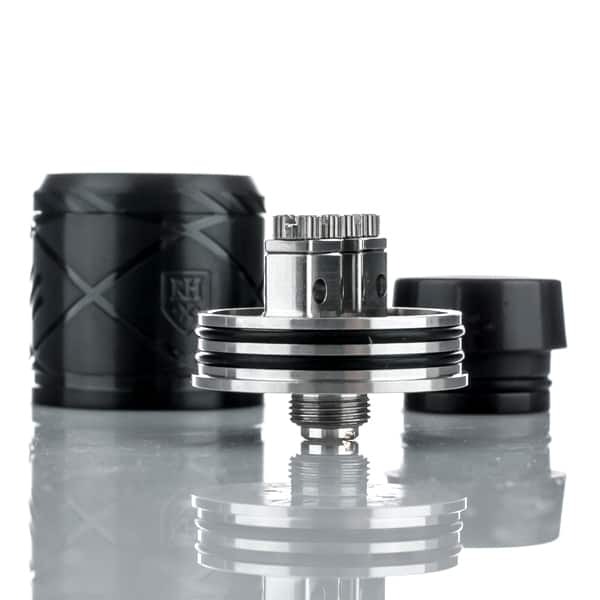 The Royal Hunter X also comes with a Wide Bore Resin Drip Tip Pre-Installed, allowing for exceptional heat minimization. 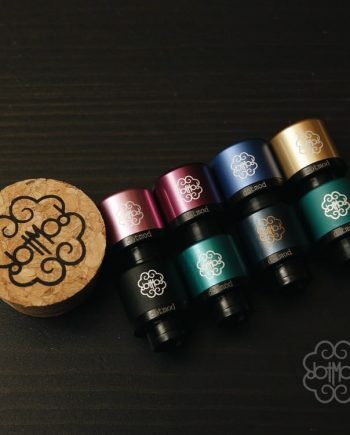 Anodized Coloured Barrel Sleeves will be available soon.